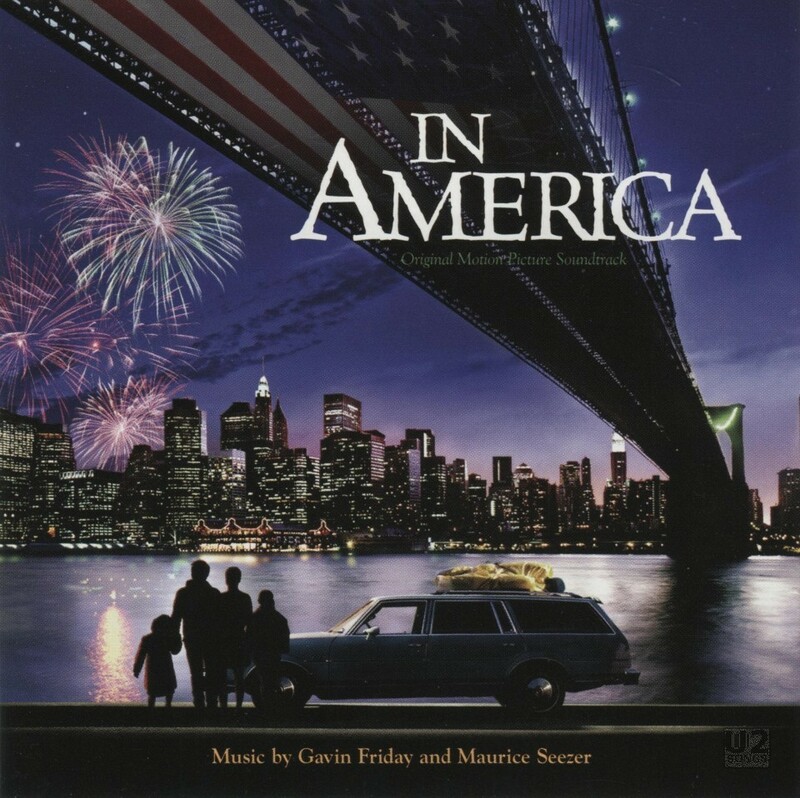 The movie “In America” was a drama directed by Jim Sheridan. The movie focuses on an immigrant Irish family’s efforts to survive in New York City. The movie was initially screened in 2002 at the Toronto Film Festival and received a wide release on October 31, 2003. The soundtrack for the film consisted of music composed by Gavin Friday and Maurice Seezer, and performed by the “Friday-Seezer Ensemble”. The music is mostly instrumental. The lead track on the soundtrack album is “Time Enough for Tears” which is performed by Andrea Corr. Friday had grown up with U2 and in particular was one of Bono’s closest friends for most of his life. Andrea Corr is the lead singer of the Irish band The Corrs. Friday, Seezer and Corr have all worked extensively with Bono in the past. The song was written by Seezer, Bono and Friday for Corr to perform. In late 2002 Bono, Gavin and Andrea were all present at a rough screening of the film, and the director Sheridan was looking for a song to be played over the credits, and work began immediately. Involved in the early stages of writing, Andrea Corr had to depart for a trip to LA, leaving Seezer, Bono and Gavin to write the song. Throughout the writing she was kept informed as they would call when pieces were finished. Gavin Friday and Maurice Seezer had previously worked on the Sheridan film “The Boxer” and had also worked with Bono on the Sheridan film “In the Name of the Father”. When it was time to record the song, Andrea Corr laid down the vocal in one take. The song was recorded, but the movie would sit for another year before gaining wide release. In the meantime Friday and Seezer worked together to come up with additional instrumental music for the film which makes up the remainder of this album. The soundtrack was finally released in 2003. Gavin Friday discussed the song with u2log.com in October 2002, “Bono saw the film and was blown away by it. He wanted to work with us and something happened, organically. It’s very poetic, very romantic. Very vulnerable and naked. It’s a beautiful song.” The male vocals that can be heard at the end of the song are those of Gavin Friday. “Time Enough For Tears” was nominated in the Best Song Category of the Broadcast Films Critics Associations Critics’ Choice Awards, and also for a Golden Globe Award in the category of “Best Original Song”. The song “Into the West” by Annie Lennox won the Golden Globe. The Corrs would record their own version of “Time Enough for Tears” for their album “Borrowed Heaven”. Time Enough For Tears: Performed by Andrea Corr. Arranged and Produced by Gavin Friday and Maurice Seezer. Written by Bono, Friday, Seezer.